Gee…write a book about your love for America and you are on Obama’s HIT LIST!! 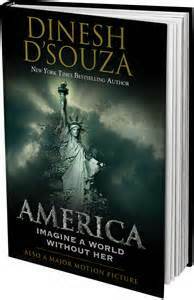 Cosco, has kicked Dinses D’Souza’s book America off it’s shelves. And WHY would anyone ban a book, in the land of free speech? Not only will I never grace any store of yours ever again in my life, you have just inspired me to not only go see the movie, but buy the book! I hadn’t thought about buying the book, since I have to BUDGET my household expenses, but you have just made up my mind. Sam’s Club is just around the corner….